By far, one of the most intriguing trends I’ve witnessed in the mobile industry over the past few years is the increasing presence of consumer companies. Each year I see what we broadly refer to as “mobile” grow from the domain of traditional telecommunication and technology companies to consumer brands seeking to expand mobile in their marketing, commerce and customer engagement. 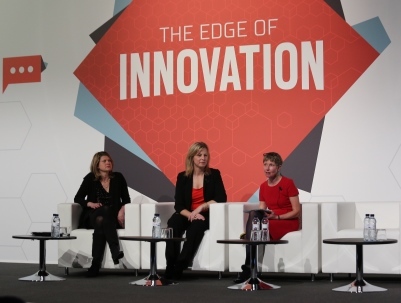 I recently had the privilege of addressing this trend in a session at Mobile World Congress titled “Integrating Interactions with the Connected Consumer,” where I co-presented with Sarah Mansfield, Vice President of Global Media, Europe and Americas for Unilever, a leader in using mobile for brand communication. Afterward, we were invited to recap some of our points in an interview for Mobile Marketing magazine, and here I invite you to read the full interview: “Talking Connected Consumers with Unilever and Syniverse.” As I touch on in the interview, in one sense I think there really isn’t a defined mobile industry now, since as Sarah and I explained, most consumer brands must have a mobile component to stay relevant to today’s mobile-savvy consumers. Do you agree or disagree? I would love to know your thoughts. Please leave a comment.